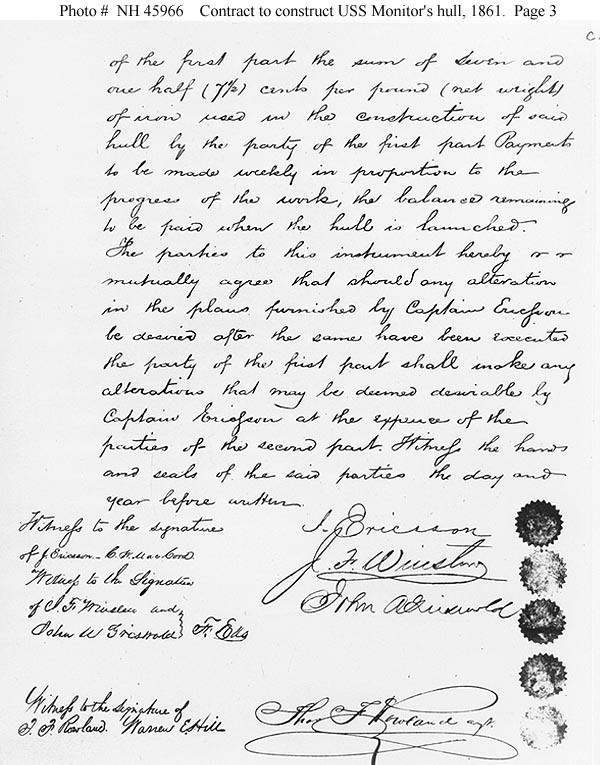 USS Monitor: Original "Hull Construction Contract"
The original was in the Office of Naval Records & Library Collection at the National Archives, circa the early 1960s. 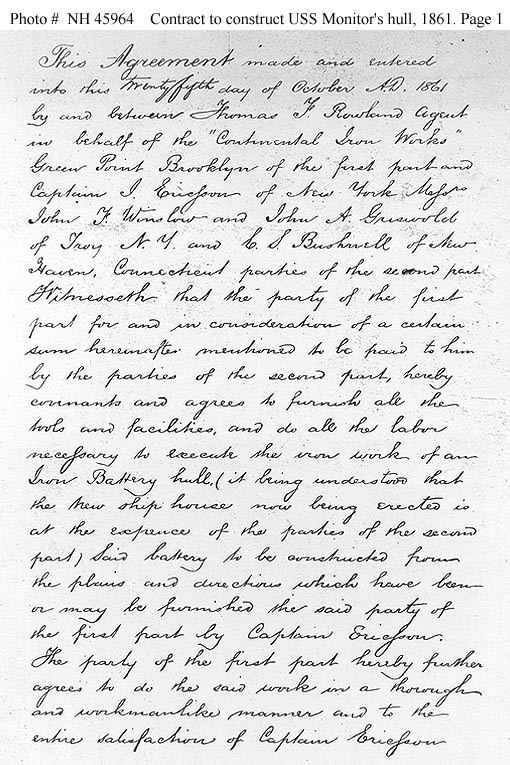 Second page of the contract to construct the ship's hull, made between Thomas Fitch Rowland, on behalf of the Continental Iron Works, and John Ericsson and his associates, 25 October 1861. 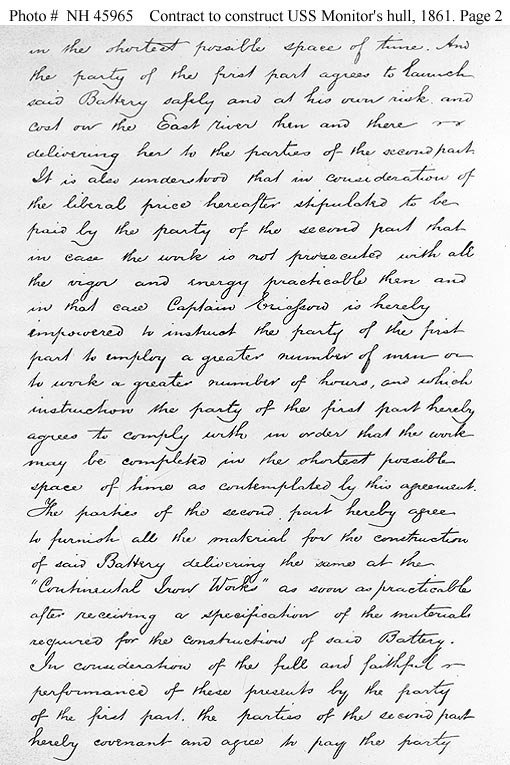 Third (and last) page of the contract to construct the ship's hull, made between Thomas Fitch Rowland, on behalf of the Continental Iron Works, and John Ericsson and his associates, 25 October 1861. By the end of the year, a powerful squadron of monitor vessels protected the blockading squadrons off the Southern coastline and was able to challenge Confederate control of her ports and estuaries. Further technological advancements were included in subsequent monitor designs, and by the end of the war the US Navy possessed a modern coastal fleet carrying the most powerful artillery afloat. This book covers the design, development and operational history of the Union’s Monitor fleet.